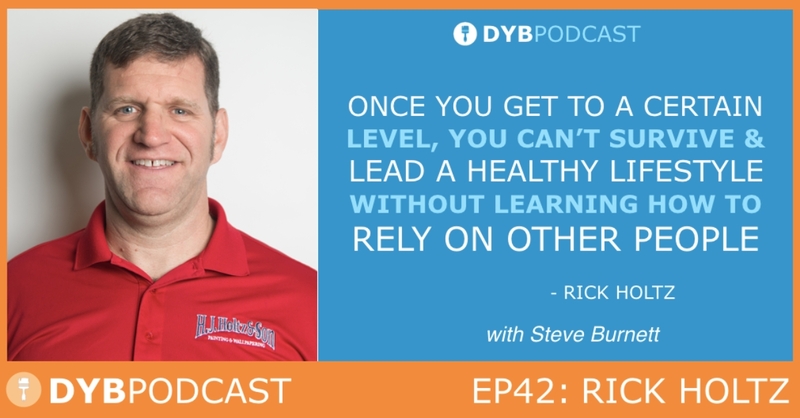 In this episode of DYB, Steve shares the mic with Rick Holtz; Owner & Operator of HJ Holtz & Sons in Richmond, Virginia. As a multi-generational family business, HJ Holtz & Sons started in the early 1900’s by Rick’s grandfather. As Rick grew up, he eventually inherited the business and ran with it. As HJ Holtz & Sons grew, however, there were multiple snags Rick ran into. Enjoy this episode as both dissect ways to prevent others from tripping up while transitioning from small family business to a large business. -How to take the first steps toward finding reliable people to run your business for you. [1:40] How was HJ Holtz & Sons started? [9:40] At what point did the business expand once Rick increased his involvement? [17:21] How has Rick’s culture shifted from 2008 to now? [22:10] What KPIs are Rick measuring internally? [25:38] What type of work does HJ Holtz & Sons take on?